On March 25, 2016, the Occupational Safety and Health Administration (OSHA) published its final rule on respirable crystalline silica exposures in construction. 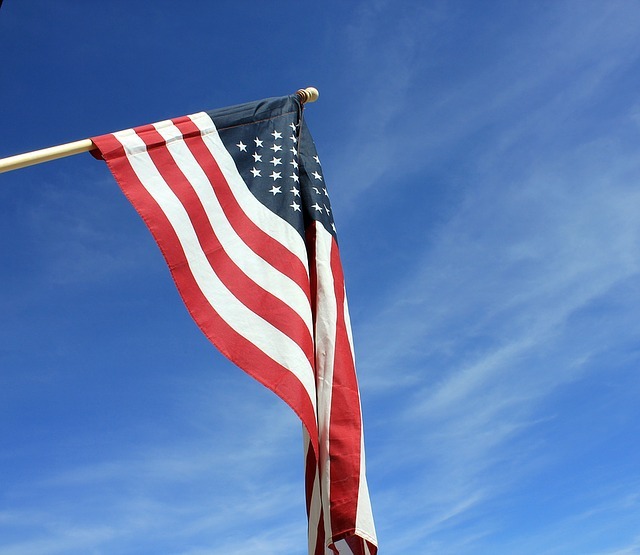 Most of the standard came into effect on June 23, 2017, with a few technical details going into effect on June 23, 2018. This standard, “…applies to all occupational exposures to respirable crystalline silica in construction work, except where employee exposure will remain below 25 micrograms per cubic meter of air (25 µg/m3) as an eight-hour time-weighted average (TWA) under any foreseeable conditions.” (Occupational Safety and Health Administration, 2016). The question that some readers of Sprinkler Age have asked is, “Does this apply to me as an installer of sprinkler systems?” The simple answer is yes. In order to understand the applicability of the standard, the term respirable crystalline silica must be defined. Silica is more formally named silicon dioxide (SiO2), and exists in both crystalline (e.g., quartz, cristobalite, and tridymite) and amorphous forms (e.g., silica gel, diatomaceous earth, glass, etc.). Amorphous silica does not pose a significant health risk from airborne exposures in the workplace. However, quartz is one of the most abundant minerals on earth, being found in sand, and is used in the making of concrete and masonry. 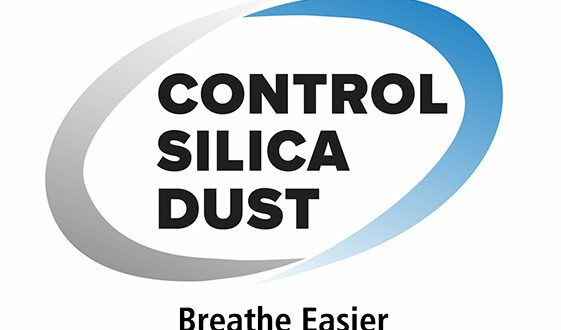 When crystalline silica is broken down into fine particles <4µm (microns) in diameter (called respirable), the fine quartz dust may be inhaled into the deep parts of the lung. These fine particles lodge in the deep spaces of the lung, causing the body’s immune system to respond. Unfortunately, the body is unable to adequately remove the quartz dust. Over time, the repeated irritation leads to a debilitating fibrotic lung disease known as silicosis and could also cause cancer, kidney disease, or Chronic Obstructive Pulmonary Disease (COPD) (Occupational Safety and Health Administration, 2016). 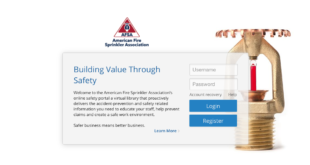 For the prevention of silica-related disease in sprinkler installers, workers must be knowledgeable in the ways they may become exposed to silica. A typical worker may generate silica dust through his or her own actions such as drilling or coring concrete or may be exposed by actions of other trades operating on a construction site, such as saw cutting concrete or sanding drywall mud. Several strategies are available to business owners to reduce silica exposures and comply with the OSHA standard. The primary exposure mechanisms to silica for sprinkler installers include rotary and rotary-hammer drilling operations. The mechanical force of these tools pulverizes the quartz in the concrete matrix liberating respirable dust. Of particular concern is the installation of ceiling anchors, where the worker’s breathing zone is not only in close proximity to the tool bit but also directly below the point of work, where gravity draws the dust directly through the worker’s breathing zone. Another exposure scenario is the use of core-drills or coring operations in the vertical or horizontal orientation. The cutting action through concrete floors and walls generates respirable crystalline silica dust. While sprinkler installer exposure data to silica is not readily available, data for a similar group of workers, pipe fitters, is. A retrospective study that looked at published exposure data for the top 10 industries with silica exposure concluded that the metal valves and pipe fitting industry (SIC 3494) had the highest mean level of silica exposure (Yassin, Yebesi, & Tingle, 2005). While the exposure data are daunting, the control strategies are simple. In the OSHA standard, a table of silica exposure generating tasks is provided (1926.1153(c) – Table 1). For each of these tasks, a control method is specified. If a company decides to use the prescribed control method, implementation of the rest of the standard is straightforward. 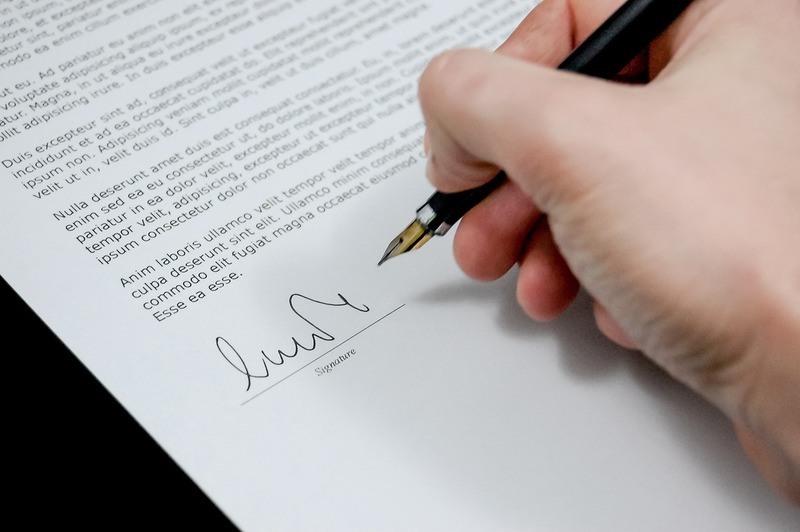 If, however, an alternative control is used, or the business performs a task that is not on the table, the burden of proof of compliance becomes harder. For sprinkler installers, Table 1, Specified Exposure Control Methods When Working With Materials Containing Crystalline Silica, item vi – Ring-Mounted Core Saws or Drills, and item vii – Handheld and Stand-Mounted Drills (including impact and rotary hammer drills) are the most relevant. For handheld drill-type tools, the standard calls for an attached shroud and vacuum system equipped with a HEPA filtration unit. Fortunately, most reputable tool manufacturers offer new equipment with these features built in, and offer universal retrofit kits. These retrofit units cost $200-$300 each and require routine maintenance and replacement of the HEPA cartridge. These attachable extraction units have been shown to reduce silica exposure by over 90 percent and below the OSHA exposure limit (Shepherd, Woskie, Holcroft, & Ellenbecker, 2009). While the cost of compliance is non-trivial, the engineering control method offered in Table 1 is less costly than implementing the alternative measures option that requires the use of routine air monitoring, Personal Protective Equipment (PPE) – respirators, and respirator medical exams, including chest x-ray. With respect to core saws, Table 1 calls for the use of tools with an integrated water delivery system. These tools are often equipped with water delivery to reduce bit wear and remove swarth. The water delivery system is also effective at eliminating airborne dust. 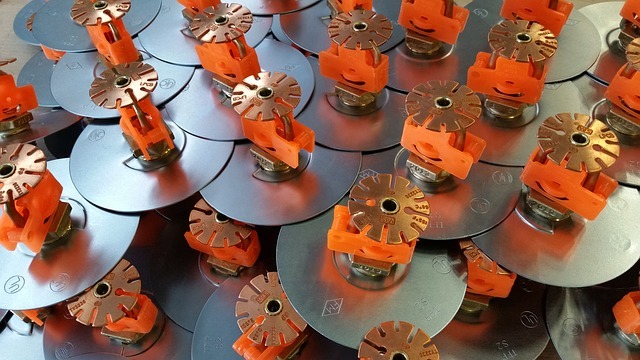 However, water equipped tools are often impractical for the sprinkler installer due to below freezing temperatures or working spaces where the interior finish is already under installation. The less obvious silica exposures for sprinkler installers are those created by other contractors. Construction sites offer numerous opportunities to generate silica dust in the form of masonry saws, grinding/mortar removal, concrete mixing, sanding drywall mud, etc. In these cases, the contractor may be protecting his or her own employees using respirators, but at the same time creating an exposure for other companies’ workers. The primary strategy for controlling these exposures is to work with the site’s general contractor on an overarching silica exposure control plan for the jobsite. The OSHA standard requires each employer to have a “Written Exposure Control Plan.” The sprinkler installer, the general contractor, and any other contractor creating a silica exposure must have written plans and these plans should coordinate with each other. For a large jobsite, the tasks that require workers to wear respirators should be identified on the master schedule and other tasks should not be assigned in those areas during the dust-generating operations. If other workers not performing the dust-generating task must be in the area due to scheduling requirements, those employees must be provided with respirators (until exposure monitoring proves otherwise) and their employer must implement the full scope of the OSHA standard, including medical surveillance (chest x-rays, medical questionnaire, etc.). Understanding and preventing silica exposures in the sprinkler installation industry is vital to protect worker health and business viability. OSHA has developed numerous tools to assist employers in complying with the silica construction standard. If you have questions or concerns about implementing the needed exposure controls, OSHA offers consultation services that are not associated with their enforcement branch. Small business may find their OSHA consultation office at osha.gov/dcsp/smallbusiness/consult_directory_text.html. 3. Shepherd, S., Woskie, S. R., Holcroft, C., & Ellenbecker, M. (2009, January). “Reducing Silica and Dust Exposures in Construction During Use of Powered Concrete-Cutting Hand Tools: Efficacy of Local Exhaust Ventilation on Hammer Drills.” Journal of Occupational and Environmental Hygiene, 6, 42-51. 4. Yassin, A., Yebesi, F., & Tingle, R. (2005). “Occupational Exposure to Crystalline Silica Dust in the United States, 1988–2003.” Environmental Health Perspectives, 255-260. Retrieved from ncbi.nlm.nih.gov/pmc/articles/PMC1253748. 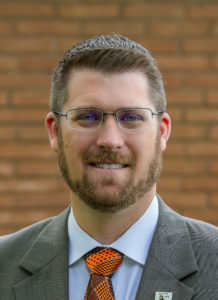 ABOUT THE AUTHOR: Robert J. Agnew, CIH, CSP, is a graduate of the Oklahoma State University (OSU) Fire Protection & Safety Engineering Technology program and went on to earn a master’s degree in Industrial Hygiene from the University of Oklahoma Health Sciences Center. He is currently pursuing a Doctor of Philosophy in Environmental Science at OSU. Prior to returning to OSU, Agnew was a senior manager in the defense sector. With 19 years in the Environmental, Health & Safety field, Agnew has extensive experience in implementing a broad spectrum of compliance programs in an international environment. His areas of specialization and interest include fire testing, health effects of fire retardants, vapor intrusion, and silica exposures in construction. Previous Thank You for Your Support!